Did you know your iron status can be the difference between you feeling on top of the world and absolutely miserable? Iron deficiency is one of the most common nutritional deficiencies in the UK, and women are among those at greatest risk. Fatigue, weakness, dizziness and pale skin are common symptoms associated with iron deficiency. Sound familiar? You may want to read on. Having normal iron levels is particularly important for women of childbearing age, who need twice as much daily iron. 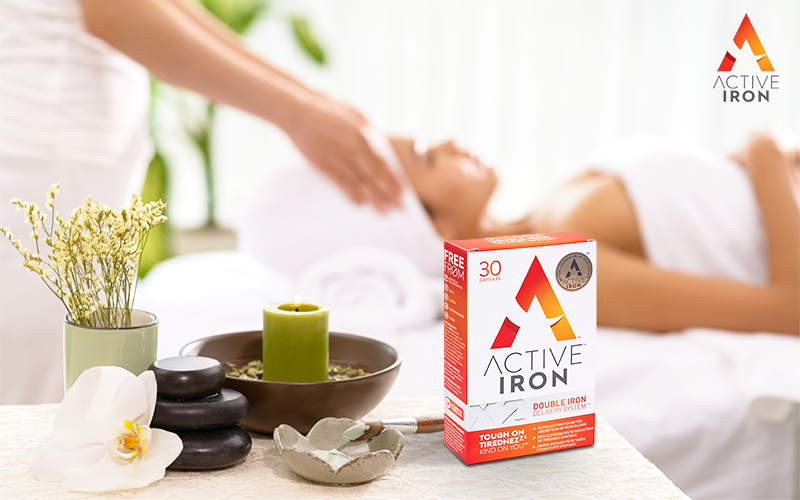 To help readers kick-start the summer feeling refreshed and rejuvenated, Active Iron is giving two lucky readers the chance to win a £250 spa voucher plus a one month supply of Active Iron capsules to boost iron levels! Active Iron is a leading UK iron supplement available without prescription. Its unique delivery system is clinically proven to target the body’s iron receptors, thereby increasing absorption. Its next generation formula is gentle on the stomach and well tolerated by 9 out of 10 people. Available in selected Boots stores and leading pharmacies.